Collect principal Cu LMM peak as well as Cu2p. 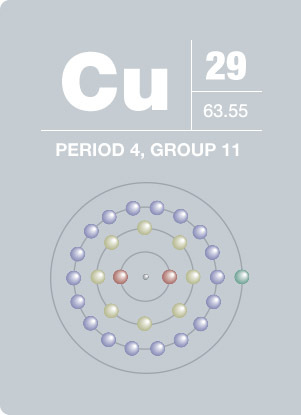 Bigger chemical shifts observed for Cu LMM compared to Cu2p. Chemical state differentiation can be difficult with XPS only. Long X-ray exposure or ion bombardment can reduce of degrade Cu(II) compounds. Sputter with Ar clusters and/or minimize X-ray exposure to prevent this effect. 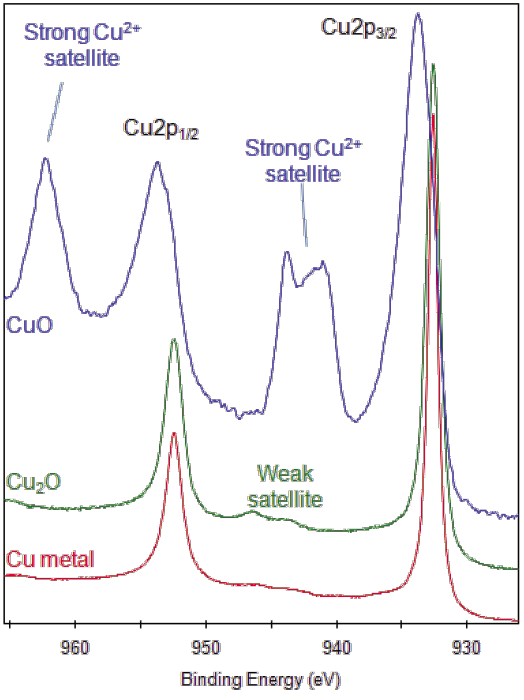 Possible to distinguish Cu oxidation states using satellite features of Cu2p. Cu (II) has observable collection of satellite features 943eV. Cu2p3/2 peak in Cu (II) oxide is shifted and is much broader compared to Cu (I) oxide. In Cu (I) oxide, there is only a very weak satellite at 945eV. 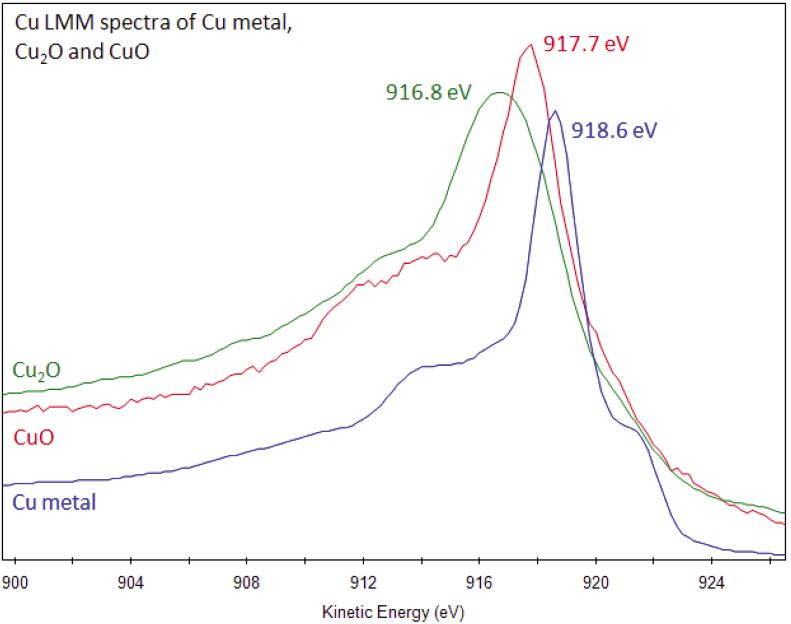 Cu2p3/2 peak in Cu (I) oxide is NOT shifted but is broader compared to Cu metal. Small binding energy shifts of some compounds compared to copper metal. Chemical state differentiation with can be difficult with XPS only. Collect principal Cu LMM peak as well as Cu2p. Bigger chemical shifts observed for Cu LMM compared to Cu2p. Use Wagner plot to help assign chemistry. Playing a significant role in history for at least 10,000 years, copper is reddish in color and has a high electrical and thermal conductivity. Copper has many household uses including wires, doorknobs and other fixtures, plumbing, roofing, and cookware products. Most American coins are largely comprised of this element , while the Statue of Liberty contains 179,200 pounds of copper. It is also used to make several musical instruments, especially brass instruments and cymbals. Copper is essential to all higher plants and animals and is transported mainly in the bloodstream.